Arrival In Delhi, Further Journey By Train. Arrival At Jammu, Proceed To Srinagar By Bus. Stay At Srinagar. Visit Gulmarg, Tanmarg, Khilanmarg, Rope-Way, Enjoy Ice-Skating.Stay In Srinagar. Evening Is Left For Shopping Or Rest. Morning, In Shikara Ride Visit Nehru Park, Kabutarkhana, Char Chinar, Lotus Garden, Floating Garden. 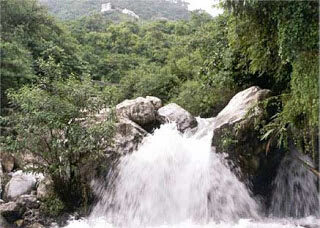 Proceed For Chashmeshahi, Nishad & Shalimar Garden. Stay In Srinagar. (You Will Get 2-3 Hours For Shopping). Hazarathbal, Sindhu River, Sonmarg ( In Sonmarg You Will Enjoying Playing In Snow). Stay In Srinagar. 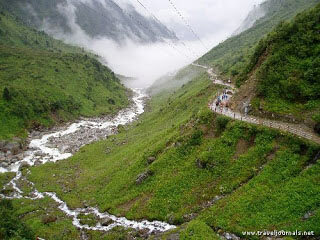 On The Way Of Pahalgam, Visit Martand Mandir, Awantipora (Capital Of Pandav), Pampur (Saffron Field). 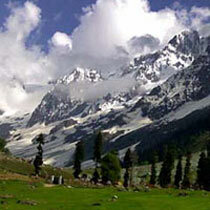 In Pahalgam You Can See Further Sites By Walking Or By Horse. Golf Ground, Club House, Bobby House, Mamleshwar Mandir, Gaurishankar Mandir, & Lider River. 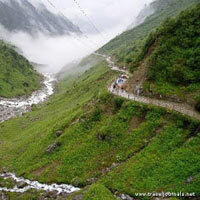 ( You Can Visit Upto Chandanwari Or “aru”and Play In Snow On Your Own Expenses . By Taxi It Is 10 Km ) Stay In Srinagar. Travel From Srinagar To Jammu By Bus And Then Leave By Train. You Can Also Catch Flight And Reach To Mumbai. Arrival At Delhi And Further Journey Starts. Food Arrangements Are Done By Office From Third Day ( Srinagar Hotel ) Till Morning Tea Of Ninth Day.